Sure, Westeros has to say goodbye to fans on screens around the world this year, but GOT will thankfully still live on in Split, sans dragons and white walkers. From Klis Fortress to Diocletian's Palace, pivotal moments in the show have been filmed all around Split’s Old Town since season four. Even if you’ve never watched a single episode, you’ll still appreciate the dual history lesson taught during a half-day tour. 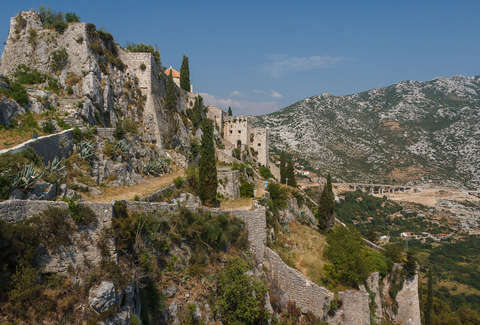 Sure, on TV it’s the Red Keep and Daenerys’ throne room, but to the people of Croatia, this is where you’ll find Split’s most iconic medieval sites. 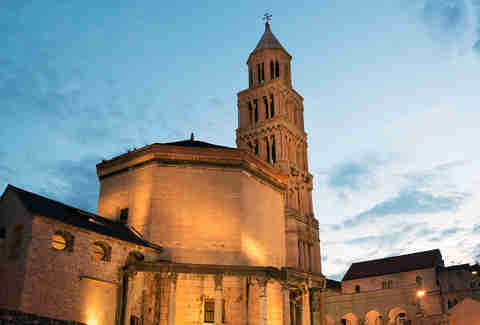 As the most well-preserved ancient Roman building still standing today, the Cathedral of St. Domnius is awe-inspiring. Once you’ve snapped a few exterior pics, soak up the view of the entire city by climbing the stairs to the top of the cathedral’s bell tower. Afterward, reward yourself by hopping around the corner for some of the best Italian coffee in town at small-batch roaster 4coffee Soul Food. The coolest part about Split is that it’s just as much an urban playground as it is a seaside town. See the 1,700-year-old Diocletian Palace from a different POV from the Adriatic Sea via kayak tour around the city perimeter -- stops for cliff-jumping included. For those who are looking to park it on the warm sand, Bacvice Beach is one of the most popular spots because of its clear, shallow waters. But if you’re not into crowds and loud stereos, head eight minutes down the road to the much more secluded Ovcice Beach. Plus, if it’s a late beach day in the summer, you can cap it off with a foreign film under the stars next door at Open Air Cinema. An afternoon strolling around the Mestrovic Gallery -- and appreciating the incredible 20th-century sculptures created by Ivan Mestrovic -- is a great excuse to hang out in a grand marble villa overlooking the sea. Housing the most complete collection of his masterpieces, Mestovic’s former private residence has now become a part of the art he created. Get ready for your phone’s camera roll to be full. Marvlvs Library Jazz Bar is exactly what it sounds like. Lined with bookshelves, it’s a relaxed jazz and poetry bar that still boasts some of its 15th-century accents. Striking distance from Diocletian’s Palace, it’s the boozy break you’ll need to take after walking all over Old Town. And not only is it run by a Croatian-Argentine poet who apparently has stories about the GOT cast hanging out until closing time, it’s also the birthplace of Marko Marulic, a famous 5th-century writer and philosopher and “the father of Croatian literature.” If it’s cool enough for Marko and The Mother Of Dragons’ army, it’s worth checking out. Coastal Dalmatian cuisine means dumplings, grilled squid, oysters, risotto with local shellfish, and more. Obviously, seafood fanatics will benefit from Split’s direct access to the sea, so pay a visit to seafood haven Dvor -- because eating wood-grilled Adriatic lobster and sea bass tartare and chasing it with Croatian wine next to the sea is living. Wine tip: ask for a glass of Babic or Malvazija, two of Croatia’s most popular varietals. 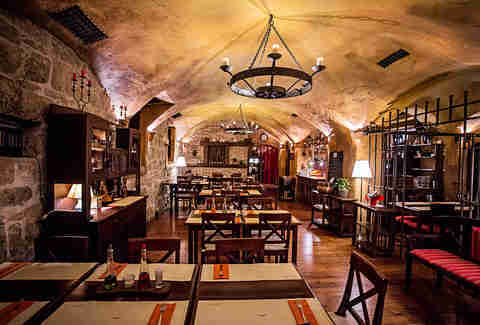 While Dvor is above sea level, nearby Ma:toni is made to feel like you’re dining deep below the ancient city. Brick walls, low-hanging ceilings, and Medieval-esque chandeliers pair perfectly with homemade pasta and glazed chicken thighs.